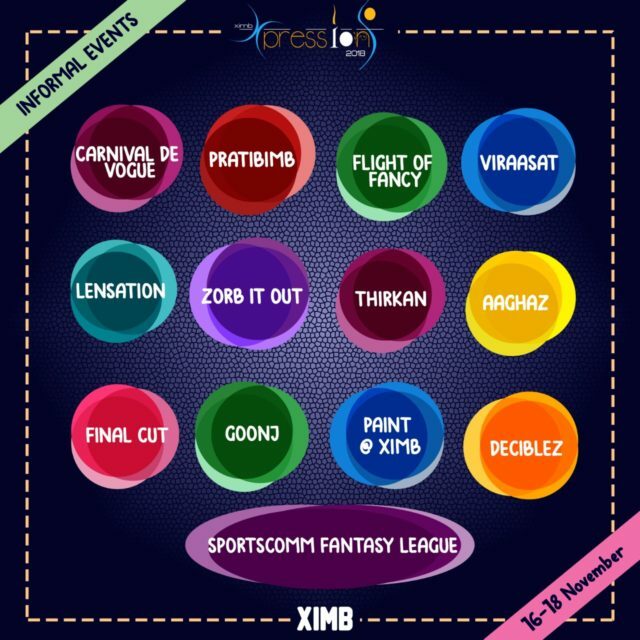 Bhubaneswar: Xpressions 2018, the management cultural fest of XIMB, one of the biggest Management-Cultural fest of India, is a three-day extravaganza which is scheduled to take place from 16th to 18th November 2018. And the students are all geared up to make this event a grand success. Xpressions 2018 plans to reach out to the best minds of business schools to test and challenge their business acumen as well as their zeal and vigor towards life. The three days are packed with business simulation games, cultural activities, fun-filled games, art exhibitions, and much more. Taking a break from their hectic schedules, Xpressions offers its guests one of a kind experience to refresh and rejuvenate them. As a prelude to Xpressions, social events X-Athon and X-Enable are conducted every year. This year also saw the two major events. 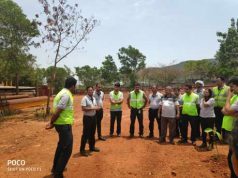 The X-Athon and the X-Enable was successfully conducted on 7th October 2018. The theme for this year’s X-Athon, a 10k marathon, “Let’s sweat out the Depression” was to promote awareness about mental health and inspire people to lead healthier and more active lives. XIMB witnessed a large number of participants for the marathon. X-Enable is the Annual Sports event organized for the differently abled children. The event witnessed participation from various schools such as Chetana school and Swabhimaan school to name a few. The journey to Xpressions-2018 could not have a better start and the stage is all set. All the events have already kicked off witnessing participation from various institutes such as IIM-Amritsar, IIM-Sambalpur, IIM-Rohtak, NMIMS Mumbai, KJ Somaiya to name a few. The excitement is clearly seen in the students who are eagerly waiting for the competitions to start. Some of the competitions have already opened their forms for registrations and huge numbers are pouring in, from across B-Schools in India. Amidst all the serious case competitions, the students engage in a multitude of cultural competitions organized on all three days and showcase their creative talents. Decibelz, the War of Bands keeps the crowd enthralled by performing rock music. Goonj, the solo singing competition, and Thirkan, the dance competition brings out the best in participants. Aaghaz, the Nukkad Natak event which actually happens on the streets, shows some real emotions, leaving the crowd touched. The Carnival De Vogue, which is the Fashion Show competition, judges the team on their walk, creativity, elegance and overall performance. Apart from this, there are a host of other informal events to help the students which include [email protected] (The Painting Competition), Pratibimb (The Face Painting Competition), Viraasat (Classical Competition), Flight of Fancy (A literary event) and MAXIM Mela (Marketing Research Event), LENSATION (the photography event), ZORB IT OUT ( a multiple round based event consisting of an online quiz, a treasure hunt and finally zorb football, an unique take on the traditional soccer game), and FINAL CUT (the short filmmaking competition for all the budding movie directors and celluloid enthusiasts out there). These cultural and business events foster the soul of Xpressions, undoubtedly one of the biggest management & cultural fest of India; giving a platform to the leaders of tomorrow to showcase their ability to take on formidable challenges today. Last year Xpressions had witnessed the ravishing performance by Farhan Akhtar. Performing for the very first time in Bhubaneswar, not just XIMBians, but also the whole of Bhubaneswar awaited his performance. It was a starry night, adding another feather to the cap of all the previous glorious Xpressions. To astound everyone again, XIMB promises of an even more entertaining evening this year. XIMB awaits to host Sunidhi Chauhan for the live performance on Celeblitz, the Celebrity Night. Just 20 more days left for the grand event to astonish the city of Bhubaneswar. The energy is high, and it seems that the waves of excitement are going to cause tremors unwitnessed in Bhubaneswar.